Our opinion is that the Hawaiian law, the first one passed, is the strongest legislation as it is the most comprehensive, has very high fines, and the least exemptions. 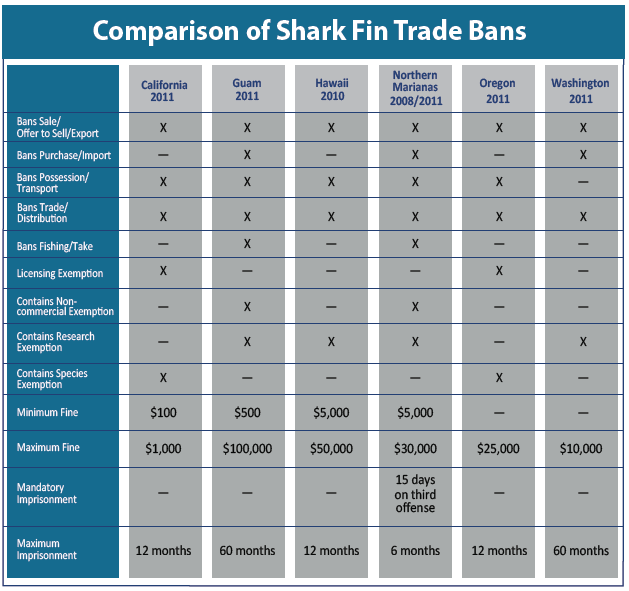 Law student Don Gourlie also wrote a guest blog comparing the shark fin bans last year and comes to similar conclusions. The session will outline how to introduce legislation in your state or community that would make the sale of shark fins illegal. Join Bob Harris, DEMA Legislative Consultant, for this informative session on how you can help DEMA and the diving industry put an end to this thoughtless practice once and for all. Learn what DEMA and other states have done so far on this issue. 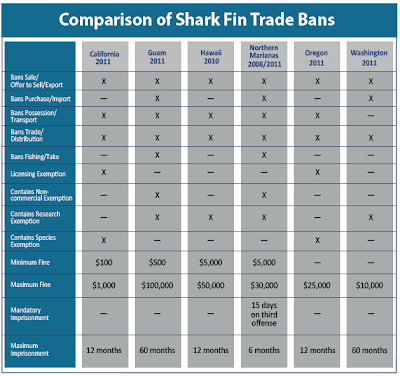 Understand the model shark fin ban legislation DEMA has developed. Receive step-by-step instructions for introducing the legislation in your state or community. Learn first-hand techniques on how to get this done.